10 April 2015 – Elliotts, the South's leading independent supplier of building products for the trade and public, is set to open a brand-new branch in Dorset on April 20. Following increased demand from the Dorset area, which is seeing a flurry of construction projects come to life, the firm will open a huge new store in Christchurch. It takes Elliotts’ number of branches to 13 and marks the company’s move to open more stores outside of Hampshire. Former Bournemouth, Portsmouth and Southampton football manager Harry Redknapp launched the new branch at a preview event for customers and special guests today. 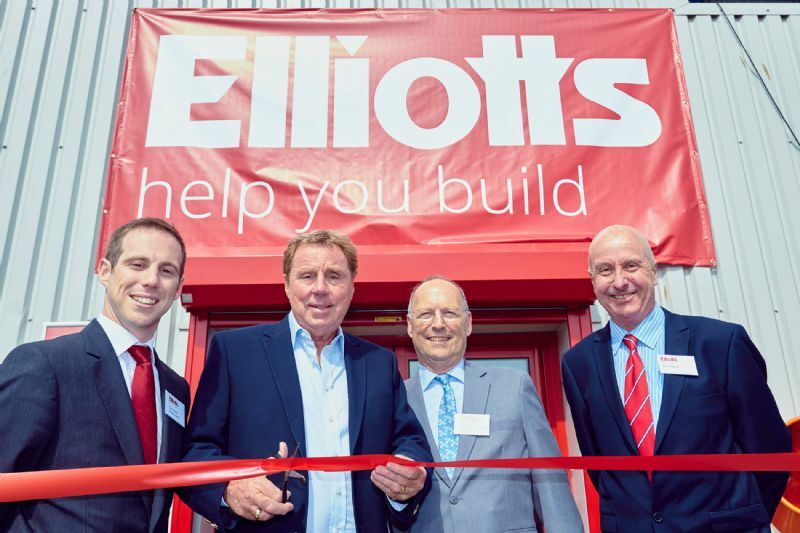 The Christchurch branch, based on Airfield Way, is one of Elliotts’ biggest stores in the South and will give professional builders in the area more convenient access to the quality building materials and trusted advice Elliotts is known for. It will sell a huge range of products and the company has made a pledge that if there are any construction products or materials that builders can’t find elsewhere locally, it will do its best to hunt them down and stock them in the new branch. Tom Elliott, managing director of Elliotts, said: "Branching out into Dorset means we can offer our products to an even wider customer base, giving more choice to our local trade customers. This new site enables us to offer existing and new trade customers the most comprehensive range of competitively priced building products in the area." The new branch officially opens on April 20.